October and November were rough months. Just as I got over my October cold I was hit with a horrible case of bronchitis. I was completely incapacitated for a few days and then it took an additional week and a half for my cough to die down enough before I could run again. My first run back brought me to the realization that I had missed too many very important long runs. After many days without running those 4 miles felt like a 10 mile run. It was brutal and my lungs burned. In fact, weeks later and my lungs are still feeling the pain. In the wake of my illness we were also met with a variety of unexpected financial burdens and just before Thanksgiving I came to the saddened realization that I might be facing my first race deferral. The “D” word that every runner dreads. I just couldn’t fathom scraping close to $2K together for the trip to Disney to run in a marathon that I now felt I would be undertrained for. It was a very tough realization to accept, but this week’s happenings have made the blow a little less harsh. We were faced with yet another jab to the gut. This past Monday we hit a deer and it did substantial damage to our vehicle. This means we’re hemorrhaging money right now and had I bought plane tickets a couple of weeks ago we would be facing the same rough decision to cancel the trip. I was excited to see that RunDisney does offer a deferral option, but bummed to see that a fee would be involved. I would have to pay an additional $75 just so I could race again next year?! Talk about frustration! It would be nice if Disney allowed for bib transfers, but nope! What’s worse is that I was fully ready to pay the deferral fee until today when I hopped on over to their website to find that the deferral slots had already been filled. It looks like my big “D” is no longer going to be a deferral, but rather a DNS (did not start). Talk about devastation! Months of training down the drain. Yet, I remain optimistic. 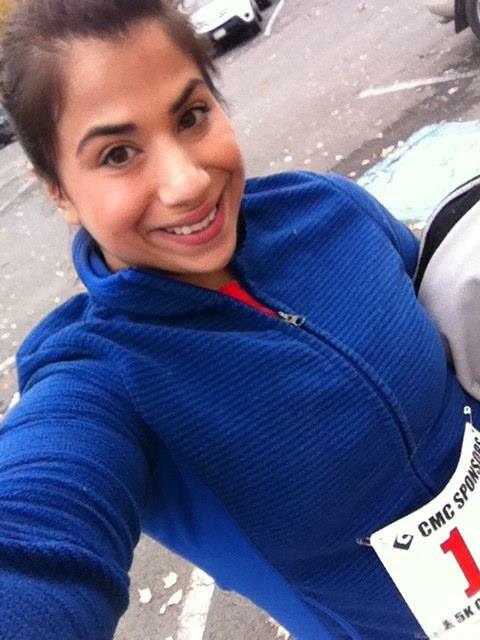 I WILL run another marathon in 2015! I will even try to sign up for a few spring halfs to keep myself on track. It’s not always an easy journey as an athlete, but it will be worth it in the long run. My training isn’t for nothing, it’s made me stronger and faster and increased my endurance. In the end it’s not the race the makes me a runner, it’s my ability to run despite the races (or lack thereof). 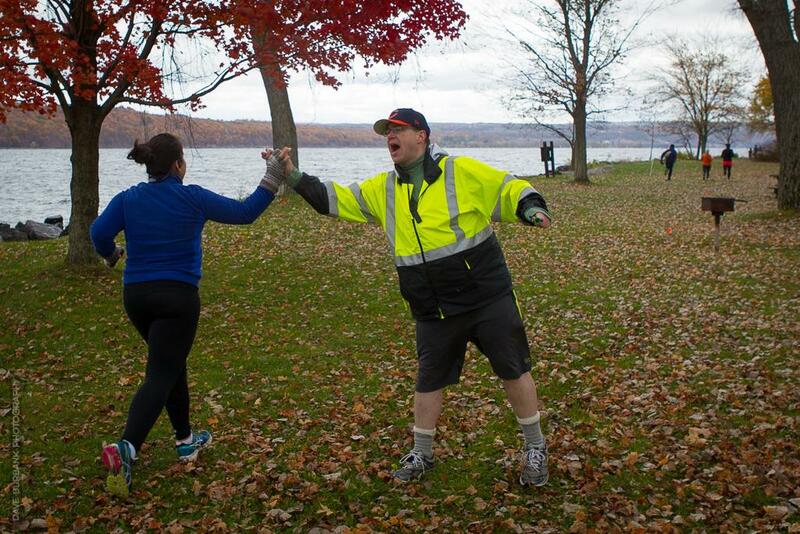 It was a cold and blustery morning for the 5K Chill Challenge at Taughannock Falls State Park. 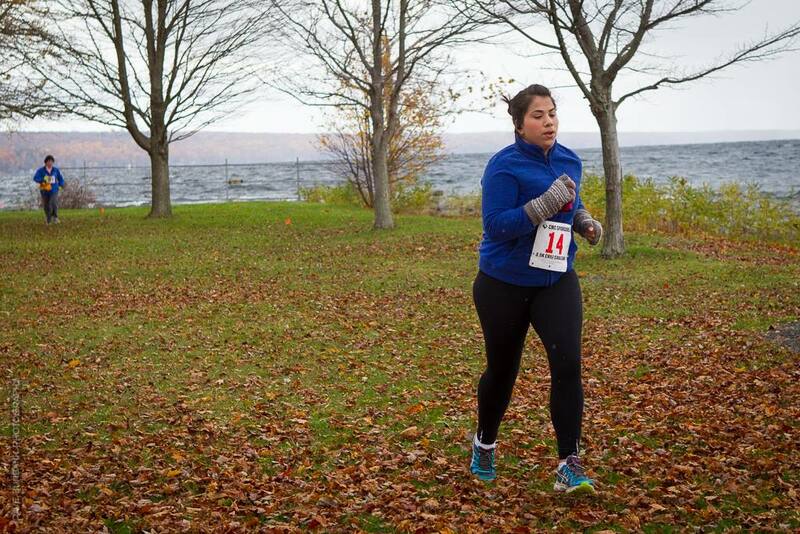 Despite the snow and sleet falling from the skies, I stayed fairly warm throughout the race. I don’t know if it was the promise of hot chili at the end, but the cold didn’t bother me as much as I anticipated. I went to the race solo, leaving my biggest cheerleaders at home was hard, but it was too cold to keep my guys waiting for me to double the course. Yes, I said double the course! The day prior I had attempted to put in my 6 mile training run, but 1 mile in (with my son in the jogging stroller) it began to downpour. I ended up cutting the run short and waited long enough for the rain to slow before I booked it back home. That night I made the last-minute decision to sign up for the race and figured I could easily tack on the extra 3 miles. Because I was planning on doubling the course I was careful to pace myself at my 6 mile pace and did a reasonable job at doing so. 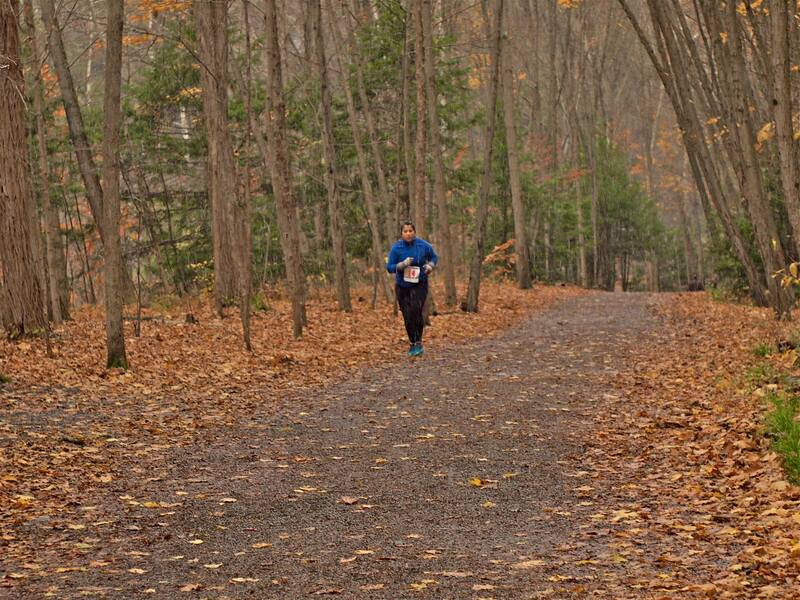 The course was mostly flat, but there were a few inclines at the 3/4 mile mark. 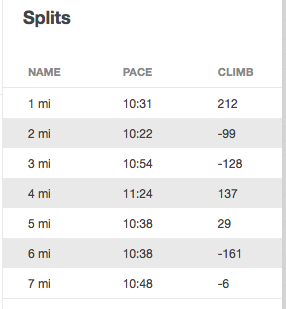 My splits were fairly reasonable and actually better than they had been for my last 6 mile run. Mile 4 was tough, but I pushed through and picked it up as I came back down. It was fun to double back on the course and see the remaining runners/walkers on their way in. It really reminded me of how far I’ve come and that it doesn’t matter how slow you are going. If you’re trying and doing, you are accomplishing something and that’s all that matters. 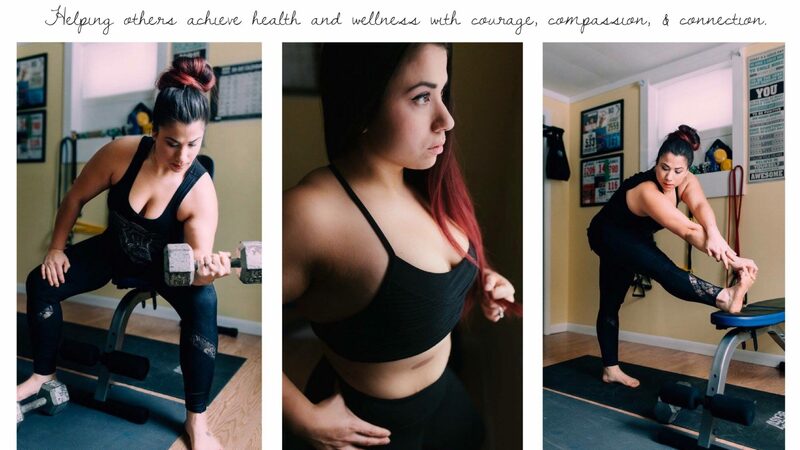 Storm Stella Is Here, But Spring Is Coming, Let’s Spring4Prana!